After being an employee for 4 years to become a freelancer, these are the 5 things I wish I knew and so anyone who wants to be a freelancer today knows. After being an employee for 4 years to become a freelancer, these are the 5 things I wish I knew and so anyone who wants to be a freelancer today should definitely know. I would start work as soon as I wake up. I was once doing basic morning stuff in between when I have something that my computer would be doing and does not need me like a reboot or download a big file. I was working like mad and was earning as well but if I evaluate now, I don’t see a reason to be working so much. Not taking days off, no weekends off and at the most, it was light work on weekends. I had too much work coming my way and was grabbing anything and everything that paid me. I was not saying no to anything. I was working more than 100 hours per week and still work close to 70 to 80 hours per week but when I was working for 100+ hours, I was trading all my time for money. After some time it was not a question of the money I was making but fascinated about the fact that I can make more money if I work more which was not the case when I was doing a job. Michael Gerber in his book The E-Myth Revisited, revealed the concept of working on the business as opposed to in the business and this is a very important concept for individual freelancers. Working for clients and the deliverables is working in the business. Whereas interacting with new clients as well as working to get more business is working on the business. If you are spending too much time working on the business, you can have financial issues and if you work too much in the business, you can have growth issues. You need to find the right balance of working on the business and working in the business. As Michael Gerber points out, when you are getting started, you should be working more in the business and as you move along, you should start working on the business. As an employee, your paycheck amount is quite similar to your last one and is paid close to the 1st of every month. Compare that to be a freelancer or a business, you will always have more income for sure, but then it is quite an irregular income as well. You can have disasters hit you and suddenly you will have income that is not so good as you might have expected. Irregularity in income is quite common but what could be worse is if you are some extra money in one month or two, you may tend to open up too many expense account like I purchased an office space. If the source of income tanks, it can have a very bad ripple effect and I had it. My site’s traffic went down due to change in Google’s algorithm reducing my income considerably which left me with no choice but to work more hours to compensate for my investment. Ideally, I would have liked to accumulate money in an account and not focus too much on it. Investing that money is also good but then investing based on future earnings can make things ugly if you expect the future earnings to be as good as your best months. Freelancers should learn to manage money well and keep debt levels as low as possible. You can have a varied income each month. There will be a minimum income level and a maximum income level. To manage it efficiently you should not be investing assuming you can make close to maximum level each month for an elongated period of time. Make a habit of putting extra income go into a separate bank account and don’t focus on investing it unless you can pay the full amount or maximum portion of the investment from that bank account itself. When I was doing a job, my take home salary was close to Rs 50,000. I needed half of that amount to sustain my family and this is what I started as a ballpark amount for my hourly rates. It was lower than the lowest hourly rate that is allowed on various freelancing sites and so I started with $5. Soon I had too much work coming my way and so I increased by $5 every few months but was skeptical because it was 2009-2010 when market conditions were not good. I always took little longer to increase my hourly rates and I still take a long time before I increase my hourly rates. There is definitely a formula that about how much you should be charging your clients that I have now that I wished I had when I started. I still hesitate to increase my hourly rates for my existing clients. I had 3 years of development experience in C++, MFC and C# but then I was not sure what technology would work better when it comes to freelance. I had my own sites in PHP and vBulletin which took me towards PHP. I took things as they came. I never wanted to be a web developer or an SEO guy or marketing consultant. I have a very keen interest in learning new things which make me what I am today. From C++ to PHP to vBulletin to Xenforo and WordPress to Marketing. The most important aspect is to be able to change to things that are working in the freelancing world and not remain stuck to one technology or services. You can start with whatever you are experienced and best at but try to move to things that work as well. If you are a designer, don’t just remain a designer. 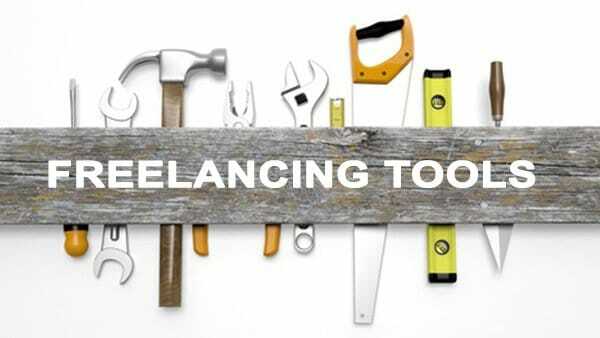 Move to better-paying technologies as you move along in your freelancing career.